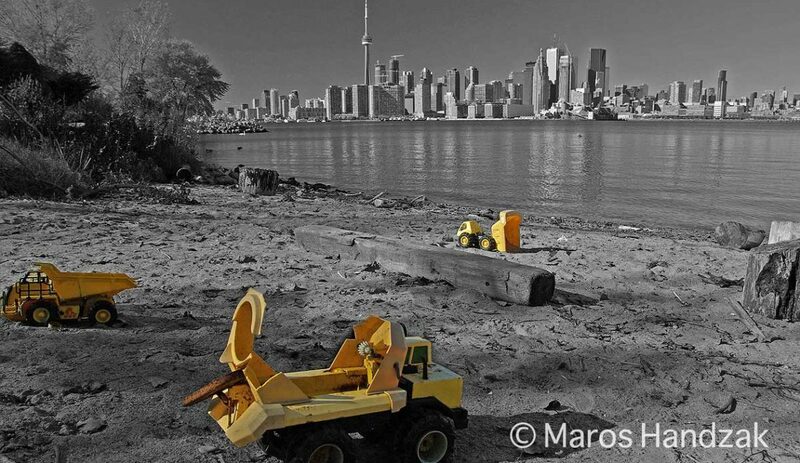 Are you planning your trip to Canada sometime soon? Is your goal to experience wildlife and take as many beautiful pictures as possible? If you answered “yes” to both questions, then I have an interesting tip for you – the salmon run. If you decide to spend your travel budget on coming to Canada, try to maximize your “return on investment” by amplifying your experience. 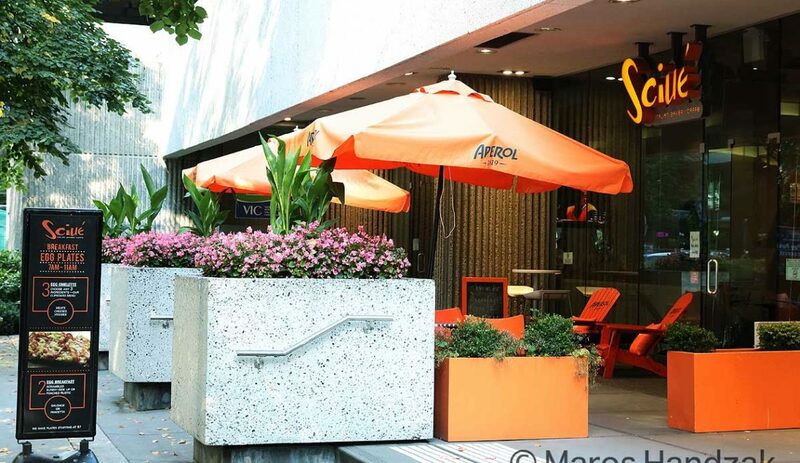 Focus on quality instead of quantity; pick exclusively the best events. 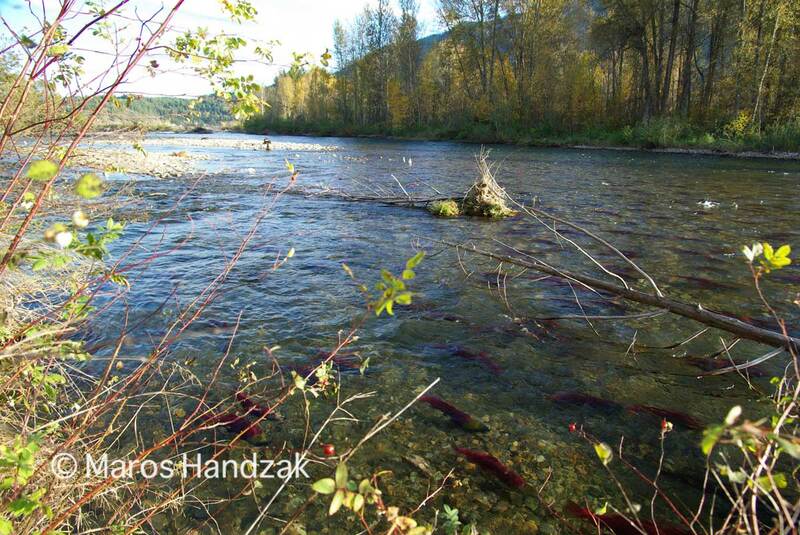 October’s sockeye salmon run in the Adams River in Roderick Haig-Brown Provincial Park in British Columbia is particularly good in certain years. A phenomenon called ‘cyclic dominance’ means that the salmon population spikes every four years, which creates a spectacular return to the spawning grounds. These are like limited edition salmon runs, due to the vast number of returning salmon. The unusually photogenic red color of sockeye salmon, in contrast with the darkish steel-like color of the river, will make your photographs stunning and irresistible. Empty your memory cards before you arrive, and bring more media for memorizing the precious moments brought to you by Mother Nature. Millions of salmon are worth it. You will see a spectacular theatre “Made in Canada,” which is increasingly rare these days, just as it is becoming increasingly rare to see such a quantity of fish returning from the Pacific Ocean to spawn in British Columbia’s rivers. The most recent dominant year in Roderick Haig-Brown Provincial Park was 2014, and it was very successful. The next one will be in 2018, and then in 2022. Again, millions of salmon are expected. 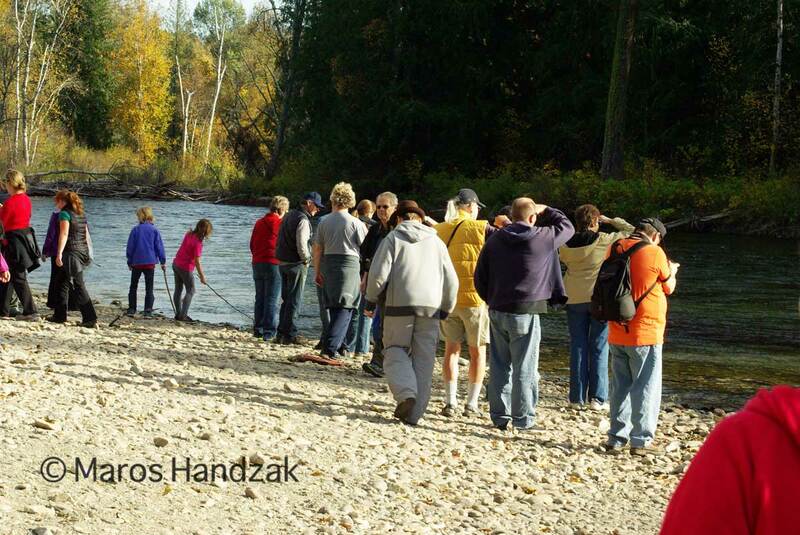 The Adams River Salmon Society organizes the Salute to the Sockeye festival in the park every dominant year. Is it worth coming between dominant years (sub-dominant, post-dominant and pre-dominant)? It might be, if you have never seen live salmon in the river. However, if you have experienced salmon runs before, visiting in a non-dominant year might bring disappointment. When I visited Roderick Haig-Brown Provincial Park in October 2015 (a post-dominant year), the park announced 100,000+ sockeye, yet I saw no more than ten red fish in the Adams River. And I had to look for them very carefully—like looking for a needle in a haystack. Why the Adams River and Roderick Haig-Brown Provincial Park? What is really amazing about Roderick Haig-Brown Provincial Park is that the river and the surrounding area do not show too much evidence of human intervention, at least at first glance. The river banks are natural except for wooden viewing platforms, which are “inserted” sensitively into the natural scenery with the “as natural as possible” approach in mind. 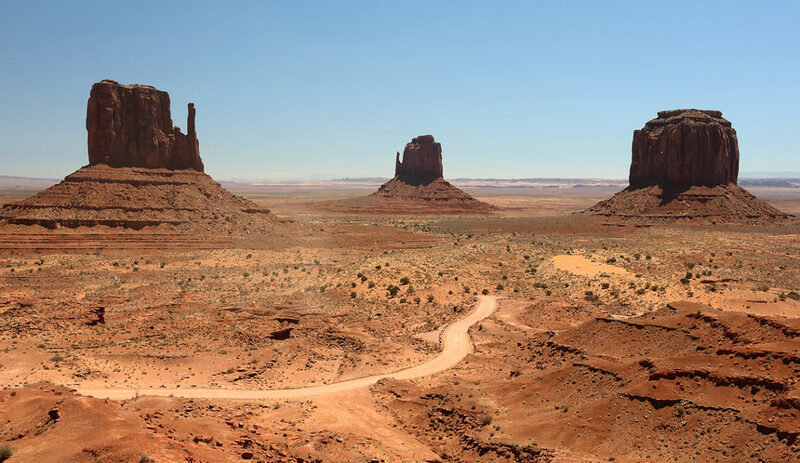 This means that you do not need to worry much when photographing the fish about possible man-made structures in the background. I’ve also visited other spots to watch salmon. There is one near Harrison Hot Springs in British Columbia, called the Weaver Creek Spawning Channel. It is a nice place to visit if you don’t want to spend more than one afternoon watching salmon, or if you have little kids, or both. An artificial winding channel was created so you can see the fish easily; however the area is overdone and the human touch can be seen everywhere. Forget about taking pictures there and then telling your friends you were in Alaska. It would be like photographing stuffed animals in a museum of natural history and trying to sell your pictures in National Geographic. Another drawback of this spot is that I saw no red-colored sockeye there, although the internet tells us something else. 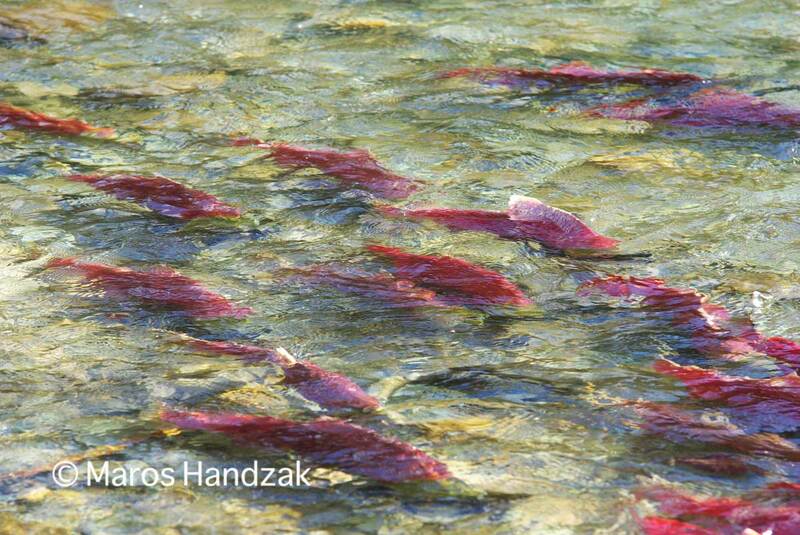 It’s possible that all sockeye hid when they saw me coming, but that doesn’t usually happen. When you go to photograph the salmon run, do not forget to bring a circular polarizer filter, or your visit will be a fiasco, giving you photos solely of the river’s shiny surface. (These are nice too, but as a single shot, and not the sum total of pictures from your visit.) You might also consider bringing a telephoto lens, since salmon is a fish and doesn’t like if you scratch his/her back with your camera when trying to zoom in. 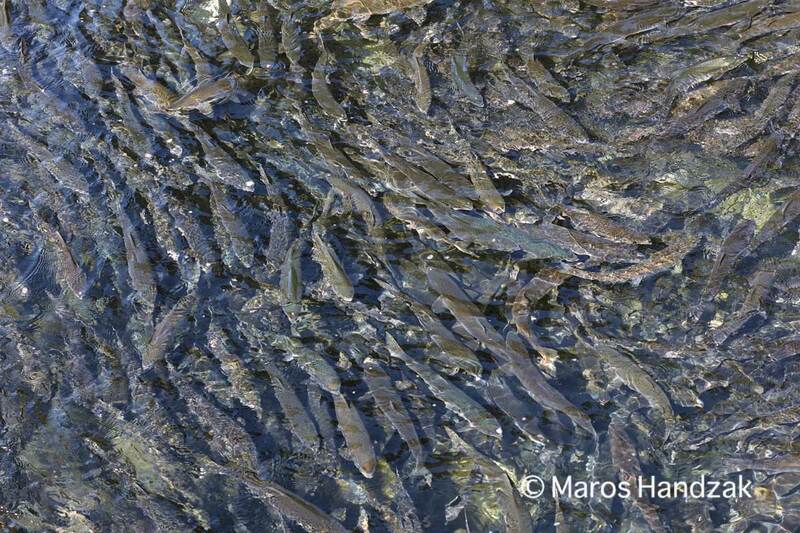 The picture of salmon above was taken without using the polarizer filter. I do not want to discriminate, and I hope that the salmon community will forgive me for this, but remember my earlier mention of maximizing your “return on investment” by amplifying your experience? Following this logic, I have to say that the best salmon to watch is sockeye salmon, mainly because there is nothing more photogenic than the red color of their skin in the final stage of their lives. 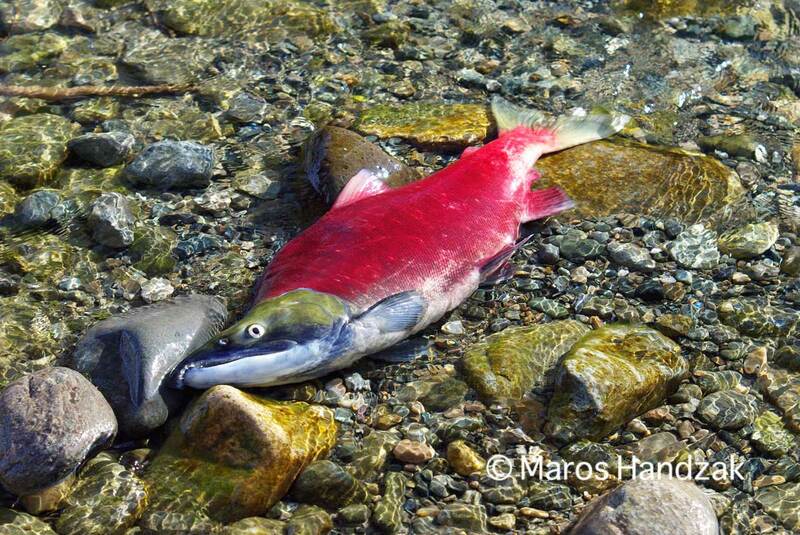 However, in British Columbia you might also see Pink salmon, Chinook salmon, Coho salmon and many more. Each type arrives here at a different time in the fall. 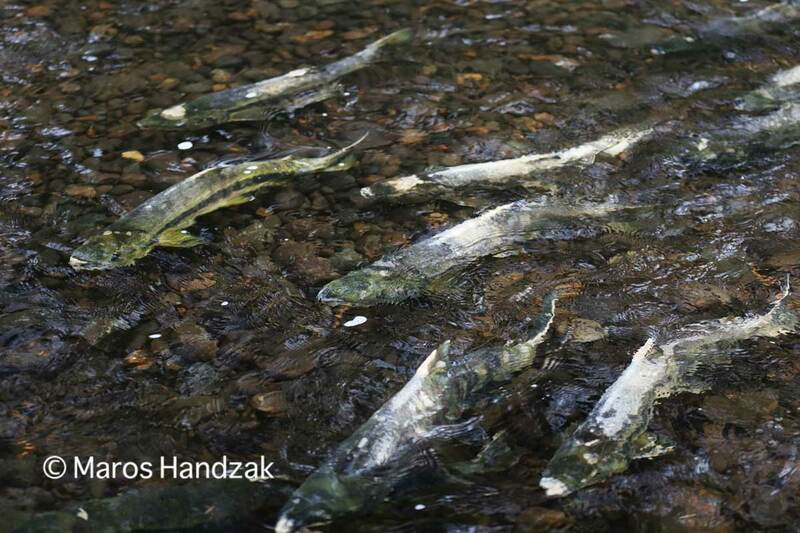 How did the 2014 salmon run on Adams River go? 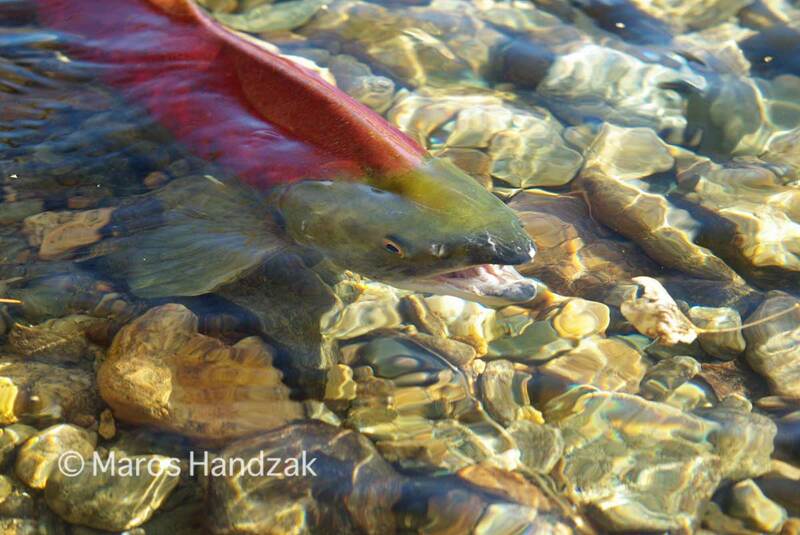 More than 2.5 million sockeye salmon in 2014 travelled thousands of kilometres between Alaska and the Adams River. The salmon travel back to their place of birth when they are four years old. 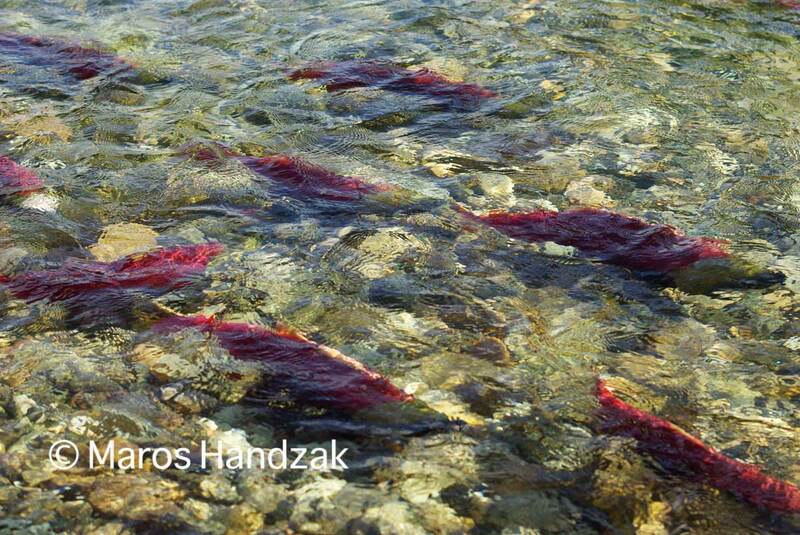 After entering the Fraser River, the salmon travel upstream several hundred kilometres from the Pacific Ocean. 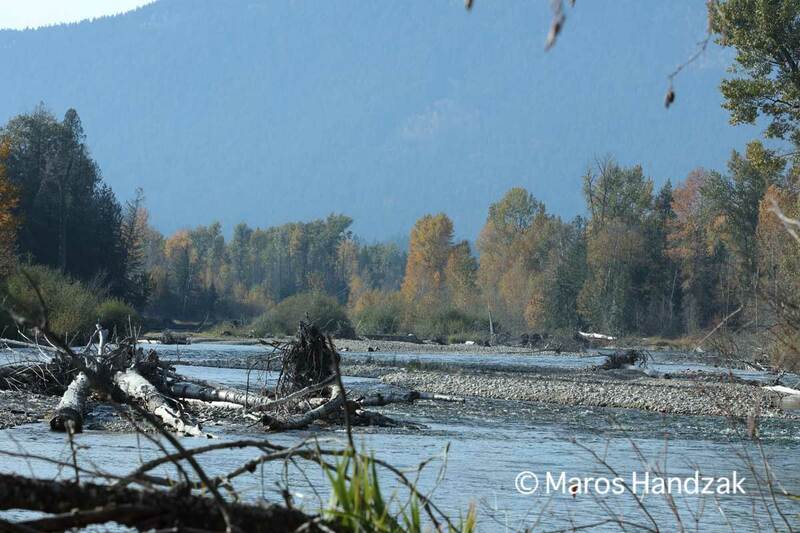 They always look for the best spot and opportunities for their eggs to survive in the Adams River near Shuswap Lake. 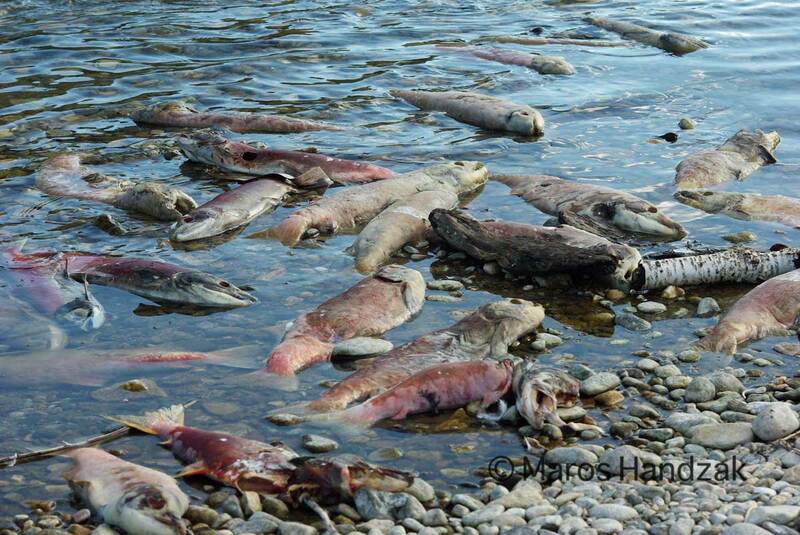 Shortly after spawning, the tired salmon die and their big journey ends in the place of their birth. The Adams River near Shuswap Lake becomes a “salmon cemetery,” with thousands of dead fish lying in the river, mainly in dominant years. 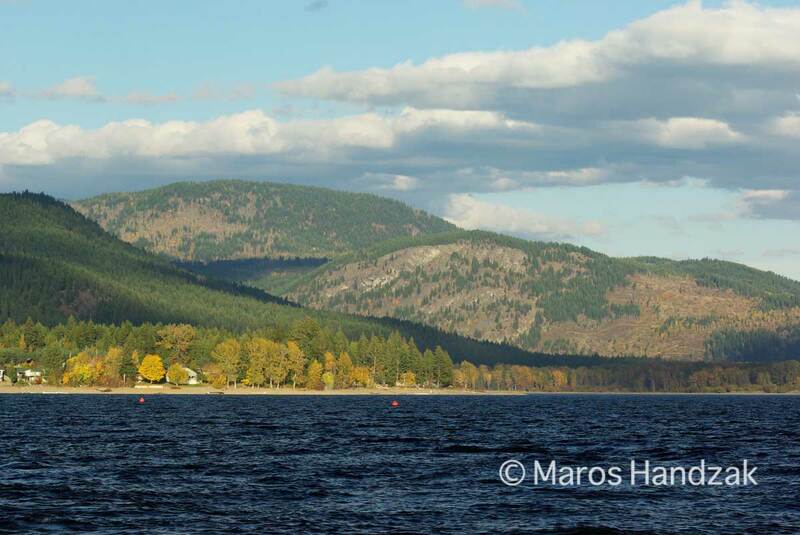 A few months after spawning, the newborn salmon move to Shuswap Lake, where they grow for one year before beginning their journey to Alaska. They close the circle started by their parents. Most people meet fish on two distinct occasions – in the aquarium, or on the dinner table. If you are an angler, you also meet them on their way to your dinner table (or better to say, you help them get there). Not too many of us think of them as travellers. It is very impressive to watch fish arriving at their birthplace after travelling thousands of kilometres. How do such small brains know how to navigate the Pacific Ocean? We humans consider ourselves smart, but we need GPS to not get lost, even near our homes. What a paradox.